As much as we wish it wasn’t, ageing is inevitable. And while we can’t completely stop the process, we can slow nature’s hand down with a little help from modern skin science. It’s tricky terrain to navigate considering the number of products currently on the market that all promise to work miracles. But there’s only really six main ingredients in the anti-ageing game that are proven to actually work. Confusing, we know. So to help you develop the best plan of attack against the ageing clock, we’ve gone into more detail on each below. The best thing you can do to tackle wrinkles is to prevent them from occurring in the first place. UV-light from the sun is the biggest contributor to premature skin ageing. It is important (and much easier) to protect existing collagen and elastin rather than try to rebuild it later. That’s where sunscreen steps in. You need a broad-spectrum sunscreen with an SPF of 30 or more. It needs to be worn every day without question and reapplied to the skin as often as the instructions say to do so. Using daily UV protection is necessary even in cold or cloudy weather or if you’re staying indoors, as the sun’s ultraviolet radiation is still able to penetrate. It’s even more important if you’re using retinol or AHA products, as these make your skin more sensitive to the sun. Not applying sunscreen in conjunction with these could actually deem them ineffective. 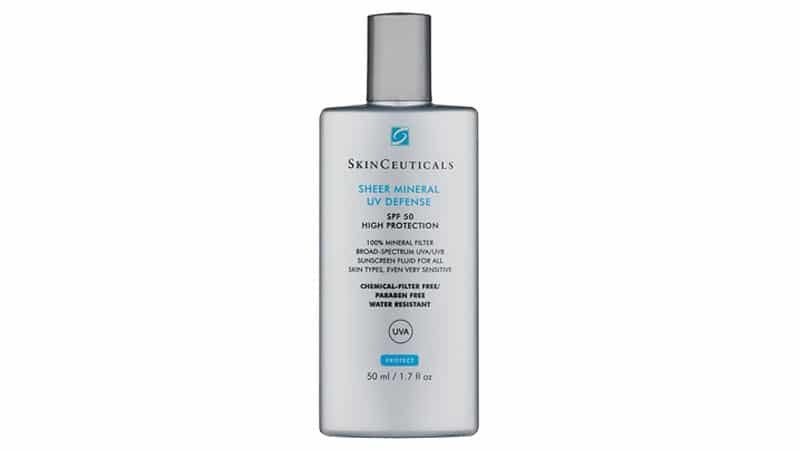 Sheer Physical UV Defense SPF 50 is an ultra-sheer, transparent sunscreen fluid that helps boost the skin’s natural defence to UV rays. This silky sheer fluid spreads easily and dries fast, leaving no residue. The result is a sheer, weightless matte finish, that is guaranteed to protect you from harmful UV rays. This broad-spectrum protection is suitable for all skin types, even those with sensitive skin. It contains no chemical filters and is paraben-free and non-comedogenic. 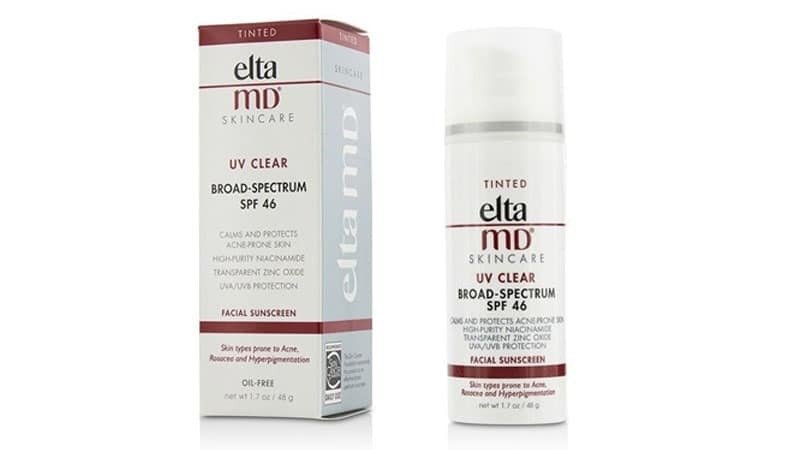 EltaMD UV Clear SPF46 helps calm and protect sensitive skin types. It contains one of the six key anti-ageing ingredients niacinamide (Vitamin B3) as well as hyaluronic acid and lactic acid. These ingredients promote the appearance of healthy-looking skin. On application, this cream is lightweight and silky and is best worn alone, or with makeup if needed. We love the tinted variety which is great for everyday use if you’re after a light coverage. 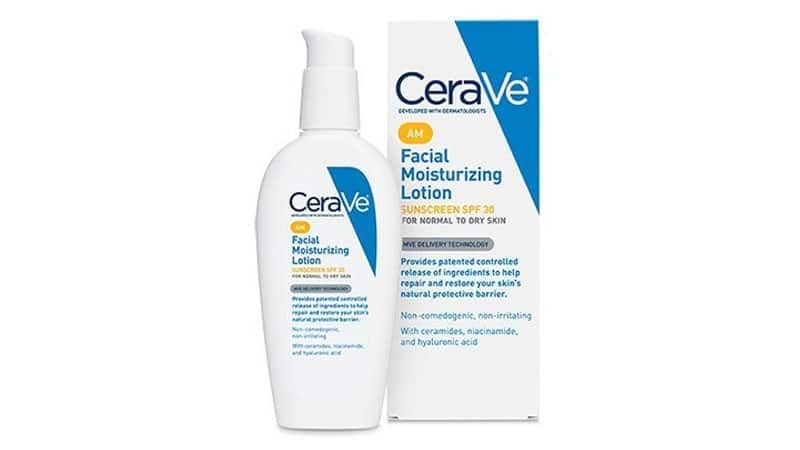 CeraVe Moisturizing Facial Lotion AM SPF 30 is a great all-around moisturizer with the added bonus of being a broad-spectrum sunscreen. It will work to keep your skin hydrated throughout the day, but also form a protective barrier on the skin. Better yet, it dries with a clear finish and is non-comedogenic, so it won’t clog your pores. When it comes to anti-ageing, Vitamin C is a nothing short of a miracle worker. It’s one of the most powerful antioxidants for the skin and helps to maintain a healthy, youthful complexion long into the future. Mainly due to its ability to reduce the appearance of fine lines and wrinkles because it stimulates collagen synthesis in skin fibroblasts. Not only that, but its potent antioxidant-rich properties helps to also protect the skin from free radicals. Vitamin C also protects skin from sun damage, reduces under-eye circles, speeds up the body’s natural healing processes and keeps skin looking younger, hydrated and healthier overall. Vitamin C used in many forms in skincare, the most well-known being L-Ascorbic Acid. The amazing benefits of using Vitamin C for anti-ageing has been backed up by many recent studies that have shown a dramatic improvement in skin texture, fine lines and wrinkles. 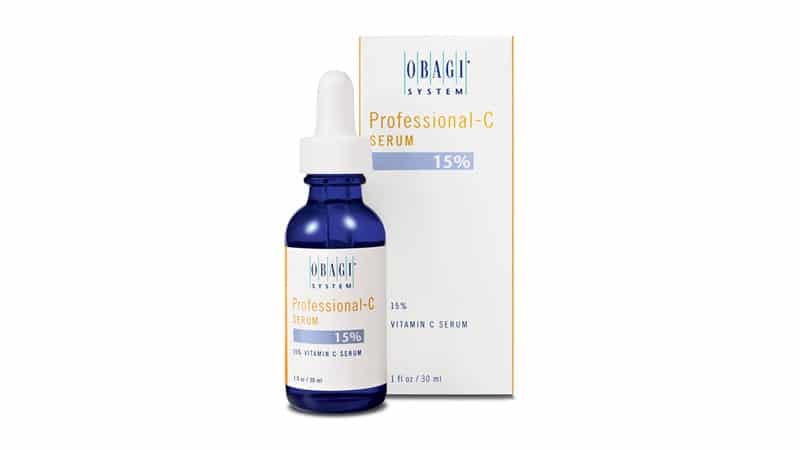 Obagi Professional C Serum 15% is an advanced product that contains one of the most effective ingredients that neutralizes free radicals to prevent skin damage. Serum concentrate contains 15% L-ascorbic acid that promotes natural collagen production and reduces fine lines and wrinkles. The serum decreases transepidermal water loss, maintains normal cellular turnover, lightens and brightens the skin. Include the serum in your skincare routine for an even skin tone and a brighter complexion. 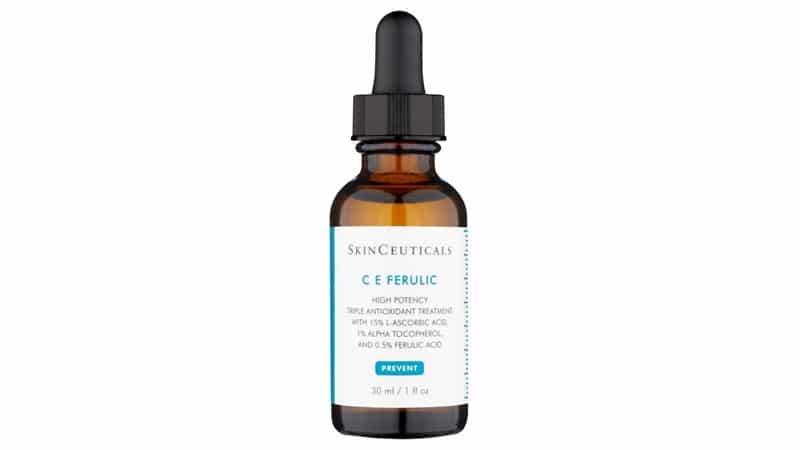 SkinCeuticals CE Ferulic PRO is a revolutionary antioxidant combination that is bursting with powerful ingredients like Vitamin C, Vitamin E and Ferulic Acid. It has an ability to neutralize free radicals which give it a potent anti-ageing effect. It also works at defending against environmental ageing, builds collagen and has unmatched antioxidant protection. Let’s just say, you’d be hard-pressed to find a dermatologist who doesn’t have a bottle of this on their shelf. 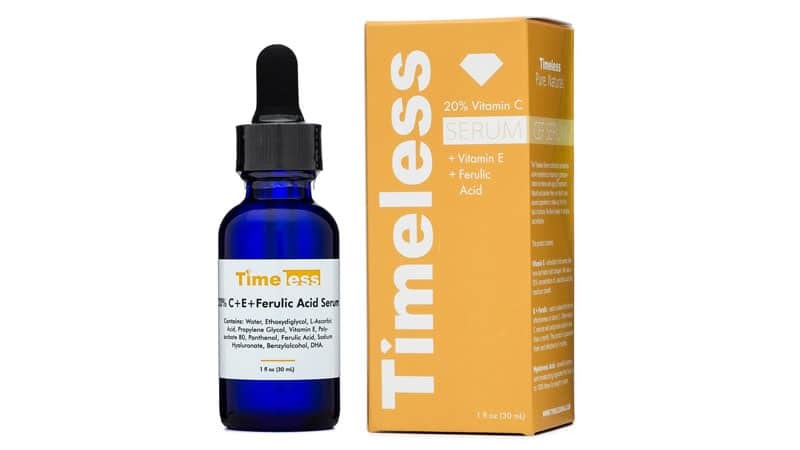 The Timeless Skin Care 20% Vitamin C Plus E Ferulic Acid serum contains high concentrations of Hyaluronic Acid and Matrixyl that work to combat the visible signs of ageing. 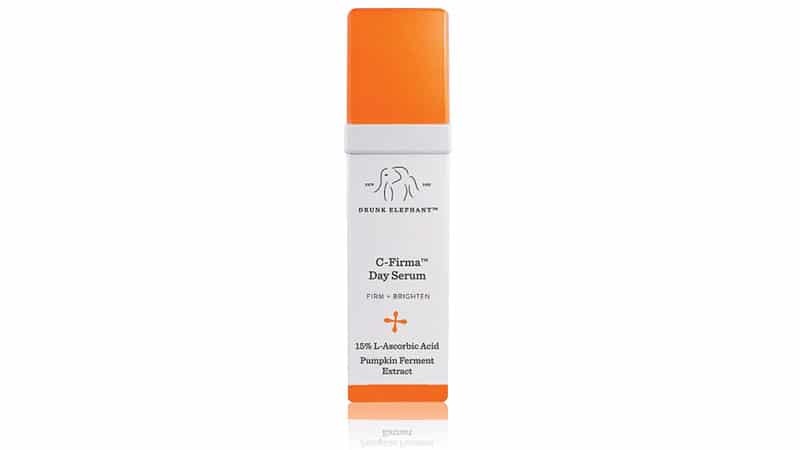 The Vitamin C in this product helps to even skin tone and build collagen. This product pretty much has more active ingredients with fewer chemicals, which is a win-win in our eyes. Better yet, it’s all natural, paraben free, non-greasy and dries fast and clear. Simple but effective. This revolutionary serum evens skin tone, fights cellular UV damage, stimulates collagen synthesis and optimizes skin physiological activities of defence and cell regeneration. The most enticing quality of this super-potent product is that it dissolves unwanted surface skin cells and provides intense hydration. It can easily penetrate the skin to achieve a noticeably more youthful complexion. It’s also packed with powerful antioxidants to reduce the signs of ageing, particularly wrinkles. If you’re searching for the fountain of youth, look no further than Niacinamide. In multiple clinical studies, using Niacinamide has been shown to improve the appearance of ageing skin. The benefits are huge and include things like reduction in fine lines and wrinkles, hyperpigmented spots, red blotchiness and skin sallowness. Another bonus was that skin elasticity was drastically improved. We also can’t ignore its antioxidant properties and ability to increase the skin’s production of ceramides which help to fight ageing round the clock. And thanks to its anti-inflammatory properties, Niacinamide is the gold standard when it comes to repairing sun-damaged skin. It’s also capable of increasing levels of fatty acids in the skin to achieve a youthful complexion. And it does so with minimal side effects. The Ordinary Niacinamide 10% + Zinc 1% is a high-strength vitamin and mineral formula that works to brighten skin tone and improve the appearance of ageing skin. The potent Niacinamide found in this product works to reduce fine lines and wrinkles and increase the skin’s production of ceramides to combat the ageing process. This hero product will work wonders if you’re looking at tapping into that fountain of youth. It not only promotes a brighter, more even-toned complexion but helps to smooth skin texture. It’s a sheer, ultra-light liquid formula that absorbs quickly into the skin. It’s so strong, you only need a few drops, best added to your moisturiser after cleansing, toning and exfoliating. Vitamin A is an anti-ageing powerhouse. Retinol, Retinoic acid and Pro-Retinols are all common forms of Vitamin A which are used in skincare. Vitamin A is known to refine pores, reduce dark spots, smooth even the deepest of wrinkles and improve skin texture. All thanks to its ability to work directly on the cells themselves. Vitamin A keeps the skin young and healthy and is recognised as one of the strongest antioxidants around. These antioxidants work to protect our bodies from harmful free radicals and preserve the skin’s structure and firmness. Better yet, it’s also been proven in many studies to slow the ageing of the skin and even reverse the ageing process through the production of collagen and elastin fibres. Hallelujah! Due to the dramatic proven effects of Vitamin A, it is considered one of the only ingredients whose properties can achieve real change in the skin. This advanced retinoid delivers incredible anti-ageing results with less irritating side effects than other similar products. 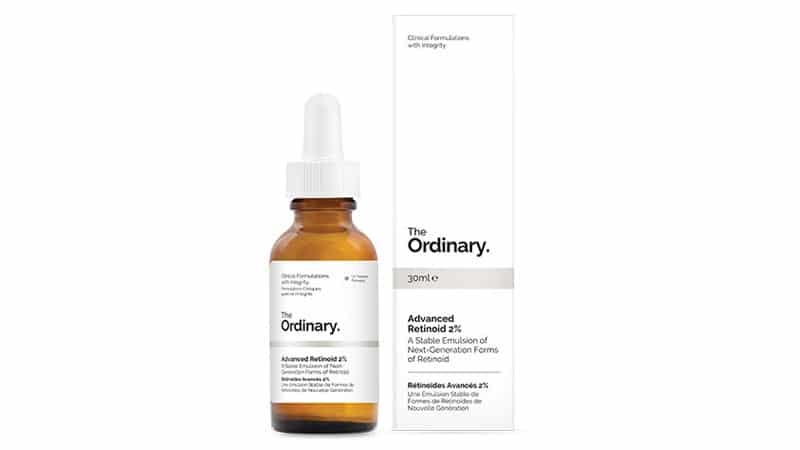 The Ordinary Advanced Retinoid uses next-generation retinoid active technologies which have been shown to achieve a better reduction in signs of ageing. This jam-packed product can help to smooth wrinkles and improve skin texture. It’s so potent, you only need a few drops and its super light-weight creamy formula makes it a dream to apply. Skinceuticals Retinol 1.0 Maximum Strength Refining Night Cream is a perfect solution for photo-damaged skin. It contains the highest concentration of pure retinol currently available on the market. The retinol ingredient helps to stimulate cell regeneration and build collagen which in turn will diminish the appearance of fine lines, wrinkles and age spots. Because this product is so potent, start by using it only twice a week, before gradually increasing to every other night and finally once at evenings. 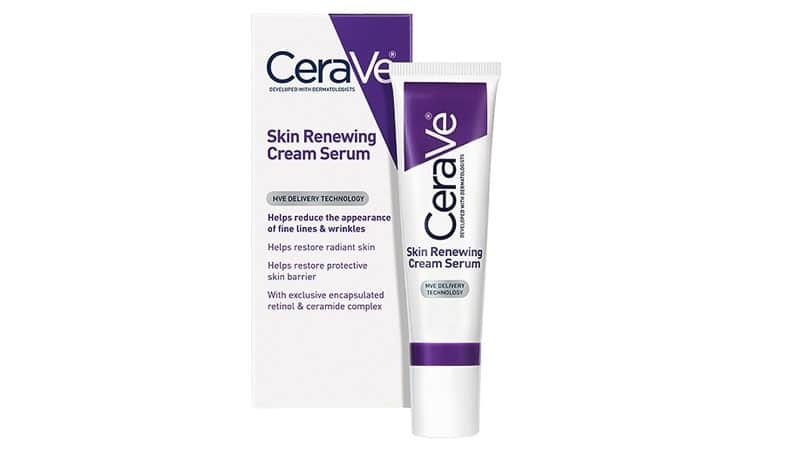 CeraVe Skin Renewing Cream Serum is designed to help reduce the appearance of fine lines and wrinkles while helping to repair and restore the skin barrier, resulting in brighter, smoother skin that looks healthy and radiant. It contains an encapsulated 1 percent retinol and ceramide complex, which stabilizes and delivers the retinol into the skin gradually over time so it won’t cause harsh irritation like many retinols. The nongreasy and fast-absorbing formula also contains vederine, a vitamin D analog known to provide epidermal and skin barrier support and long-lasting hydration. It is ideal for all skin types. If deep wrinkles are your main concern, this product is where you want to invest your money. It’s potent yet uniquely formulated ingredients like Vitamin C, Vitamin E, Hyaluronic Acid and Peptides team up with a high dose of retinol to fight the advancing signs of ageing. Not only does it effectively dimish the appearance of wrinkles and fine lines, it’s oat, burdock and liquorice extracts help to soothe the skin and reduce irritation. It absorbs quickly and goes to work even faster to deliver powerful results. This product is uuitable for all skin types. 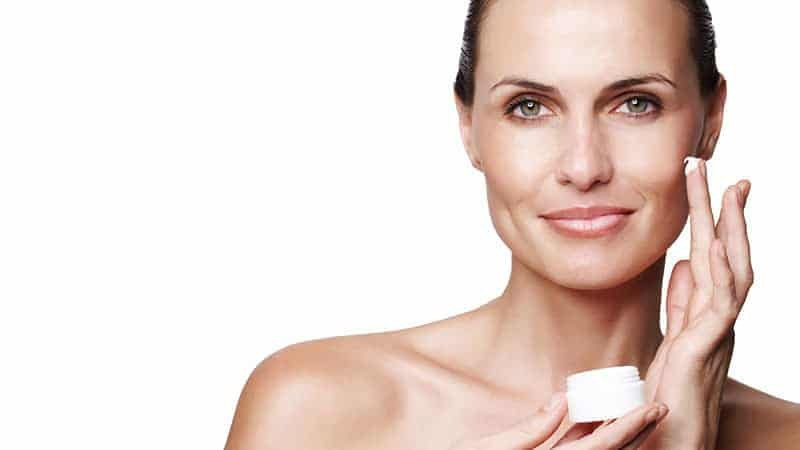 If you want to look like a 20-something well into your 40’s, Alpha Hydroxy Acids are a great place to start. AHAs work to dissolve the bonds between skin cells to allow the dead cells to be removed, resulting in a smoother skin surface. Since they act on the surface cells, they can reduce fine lines and wrinkles, improve elasticity and texture by reversing some of the processes that cause visible skin ageing. As we age, the skin becomes thinner and more fragile and the production of collagen and elastin declines. 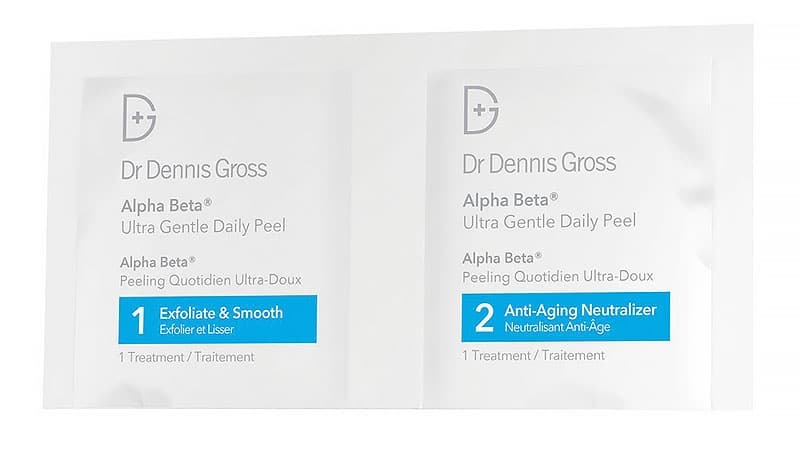 AHAs have been found to combat the skin’s natural ageing process by removing dead cells and stimulating the growth and thickening of the dermis and epidermis – the two main layers of the skin. The result? New, younger-looking skin. 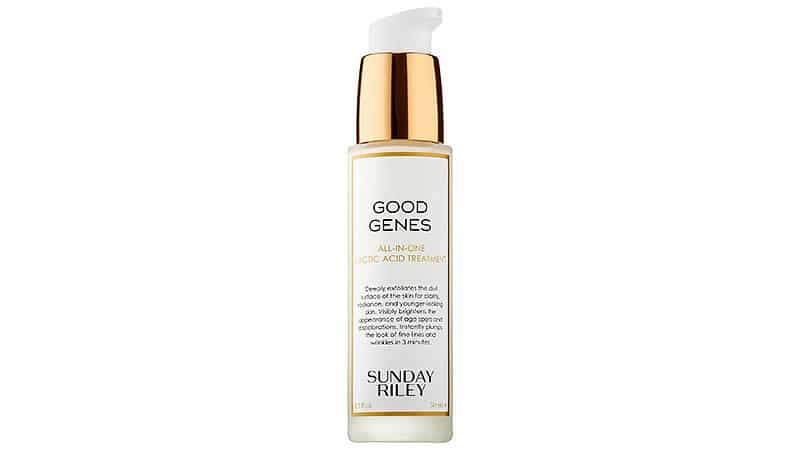 The name says it all, Sunday Riley’s Good Genes will give you exactly that. This amazing treatment is formulated with key ingredients that work to plump fine lines, reveal brighter, newer skin and improve circulation for a noticeably smoother complexion. Long-term use promises to reduce the depth and number of lines and wrinkles and also increase epidermal firmness and thickness, which is a key player in fighting the visible signs of ageing. 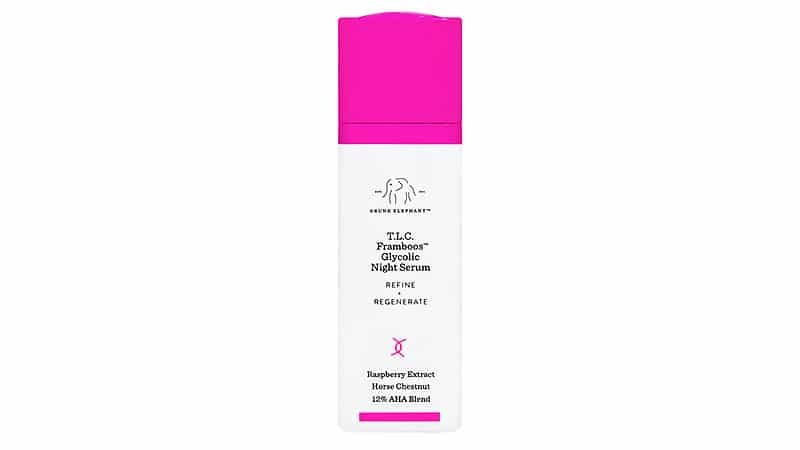 Drunk Elephant TLC Framboos Glycolic Night Serum is formulated with a ‘dream team’ of AHAs including glycolic, lactic, tartaric, citric and salicylic acids and blended with raspberry extract. It is specifically designed to reveal a smoother and more radiant complexion. This miracle product works to gently dissolve dead skin cells, increase collagen production and diminish fine lines and wrinkles. Drunk Elephant formulations only contain ingredients that are there to benefit skin health and support the formulation, keeping them safe and making them ideal for even the most sensitive skin. 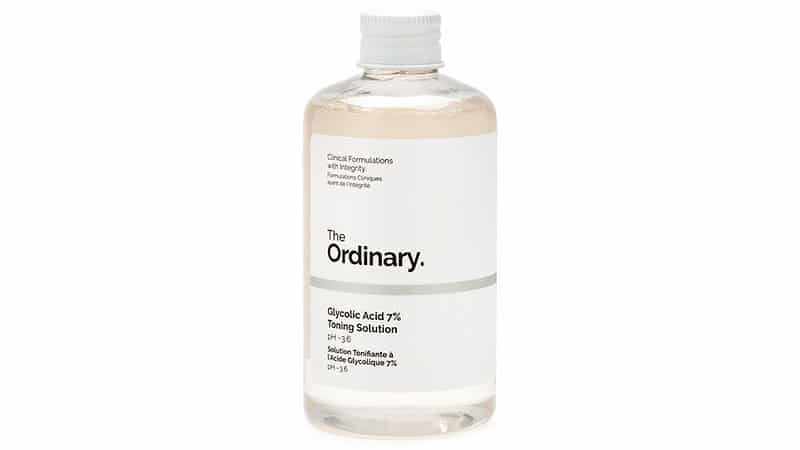 The Ordinary’s Glycolic Acid 7% Toning Solution offers a gentle exfoliation for improved skin brightness and visible clarity. Continued use of this product will improve skin texture and reduce fine lines and wrinkles, improve elasticity and also reverse some of the processes that cause ageing. This cult product is designed with a cocktail of exfoliating acids to refine and strengthen delicate complexions. It contains three gentle acids, anti-agers and soothing botanicals to exfoliate and nourish fragile skin and combat three common signs of ageing: uneven skin tone and texture, fine lines and wrinkles and enlarged pores. An ideal introduction for those new to AHAs, this is also the perfect option for those whose skin is prone to redness. Skincare lovers often say that Copper Peptides are their favourite anti-ageing ingredient. To a significant degree, skin ageing is caused by the accumulation of minor day-to-day damage from sun, wind, detergents, acne, abrasions and so forth. As these minute lesions heal, they leave microscopic imperfections, which, eventually, accumulate to become visible signs of ageing. Copper Peptides can help minimize the damage from daily wear and tear of the skin. Their antioxidant and anti-inflammatory effects also can’t be ignored. This allows it to promote wound healing, collagen stimulation and production of immune cells. In turn, this improves skin firmness, elasticity and plumpness and its wound-healing properties make it a great treatment for wrinkles. 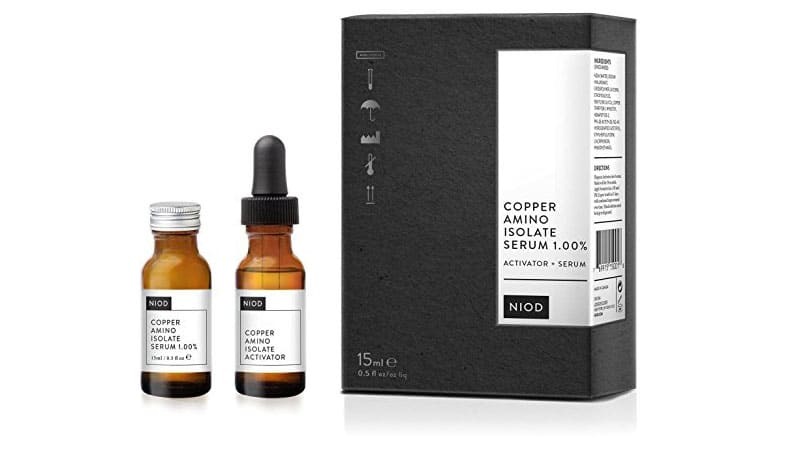 Research into the use of Copper Peptides in skin care is relatively new, so the scientific benefits, when compared to other anti-ageing heroes like retinol, have not been proven absolutely. This product targets all aspects of skin ageing by helping to keep the skin in an ongoing heightened state of repair. 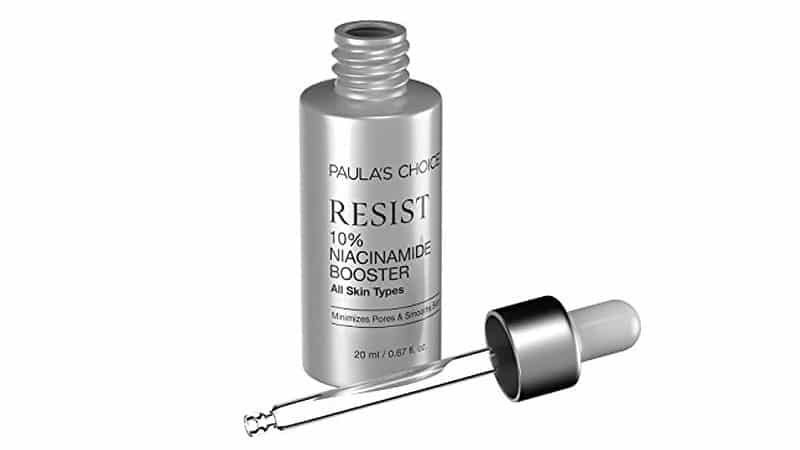 This concentrated treatment forms a foundation to make skin act and look younger from the deepest layers upward. If you could turn back the ageing clock, this would be the product to do it. 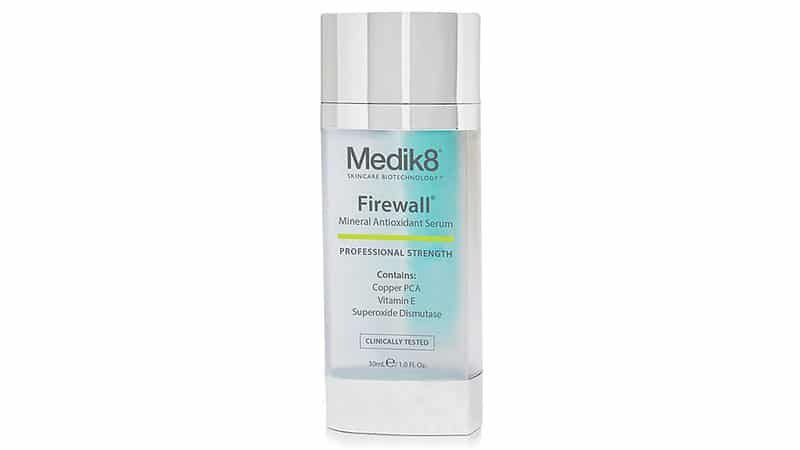 Medik8 Firewall is an antioxidant-packed anti-ageing serum that minimizes the appearance of fine lines, crow’s feet, and wrinkles while protecting skin from premature ageing. The highly-potent formula contains powerful anti-agers and free-radical-fighting ingredients, such as Copper Peptides. It will leave skin feeling hydrated, fresh and glowing with a silky feel. It’s the ultimate all-in-one product working to protect and moisturise. And it’s fragrance and paraben free so even those with sensitive skin can reap the rewards. While you may assume the more active ingredients that a product contains the better, that’s not always the case. These active ingredients are potent and complex and so should not always be applied on the skin all at once. Some ingredients contradict with others, while others work harmoniously together. So powerful are these key ingredients, the skin needs time to adjust and build up a tolerance, so it’s usually recommended you start out small. For example, using a product only twice a week and increasingly this frequency depending on your skin’s reaction, until you can eventually tolerate applying it every day. Just remember, everyone’s skin is different and what works for some might not work for all skin types.